From construction to nature, Pittsburg State is once again offering a variety of summer fun and learning opportunities for youth. 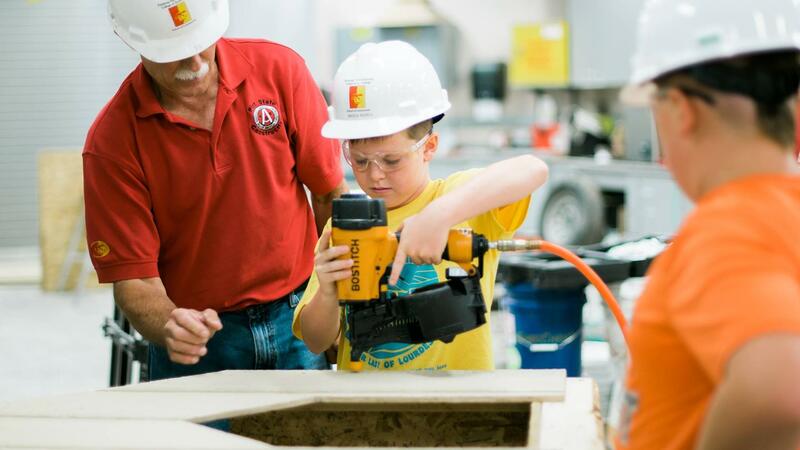 The Department of Engineering Technology and School of Construction will offer summer workshops for children ages 9 to 14. They are taught by faculty in the College of Technology. Level I of Robotics camp will be held from 9 a.m. to noon July 8-12; Level II will be held 9 a.m. to noon July 15-19. Topics to be covered include teamwork, programming, brainstorming, construction techniques, robotic basics and electro-mechanics. Campers will build robots using LEGO Mindstorm and camp will culminate in a competition. Level 1 of Construction camp will be I to 4 p.m. July 8-12; Level II will be 1 to 4 p.m. July 15-19. Topics to be covered include the materials, processes, and design methods involved in construction. Campers will learn to use basic tools and build birdhouses and doghouses. Cost: $100 per session. Details: https://www.pittstate.edu/technology/events/summer-technology-workshops-for-kids.html or for Robotics call 620-235-4345, and for Construction call 620-235-6555. Nature Reach has been part of PSU's Biology Department since 1985, providing natural history and environmental education outreach programming to school and community group with the assistance of a collection of live animals. From June 24-28, children who have completed first, second, and third grades may experience the great outdoors in Nature Reach Summer Day Camp from 9 a.m. to noon each day at the PSU Natural History Reserve a few miles southwest of Pittsburg. It will be taught by Nature Reach Director Delia Lister. Hands-on learning activities will include insect collecting, a birding walk using binoculars, and digging in the garden, as well as outdoor play and interaction with live animals. Snacks are included. A parent open house will be held at 11:30 a.m. on June 28. Nature Reach also will conduct a nature-themed story time for 3- to 5-year-olds. Each session will give participants an up-close look at a live animal or group of animals who are part of the story. Presentations will be 9 a.m. to 9:35 a.m. or 10 a.m. to 10:35 a.m. on June 12, 19, 24, and 31. Cost: $5 per session. The PSU Art Department is partnering with Greenbush Summer Camps to offer 6th through 8th graders a Sketchbook Academy at Greenbush from 9 a.m. to 3 p.m. four days this summer: June 12, 19, 26, and July 3. Cost: $20. Register online at https://www.greenbush.org/ or call Emily Roth at 620-724-6281. PSU Athletics offers a range of camps for student athletes in several sports, including the 2019 Amanda Davied Women’s Basketball Camps from June 23-25 and Team Camp from June 12-14 and June 19-21, and the a variety of camps for boys put on by the PSU Men’s Basketball coaching staff. For details and contact information, visit http://bit.ly/2kdWgvy or call 620-235-4147.